Yes, I am still around, and yes, I am still working out. Not nearly at the frenzied pace that I was last year, but I’m still hanging in there. Biking roughly once a week at this point. I’m looking to increase that. Once the weather starts cooperating I should be commuting to work most days. That’s about 30 miles per day total. Nice, and I’ll save money on gas! I had another daughter last August – Evelyn Rose. That’s pretty new. Well, That’s all for now. I’ll be updating this more again this summer. Apologies for my reader(s) that might have been checking this. This past Saturday I joined a local group and went on a 20 mile loop to the west of Madison. I’ve heard that west of Madison is pretty hilly (that’s where the “Horribly Hilly Hundred” is), but for some reason I thought that it was a different “west” of Madison. Ha. I was wrong. 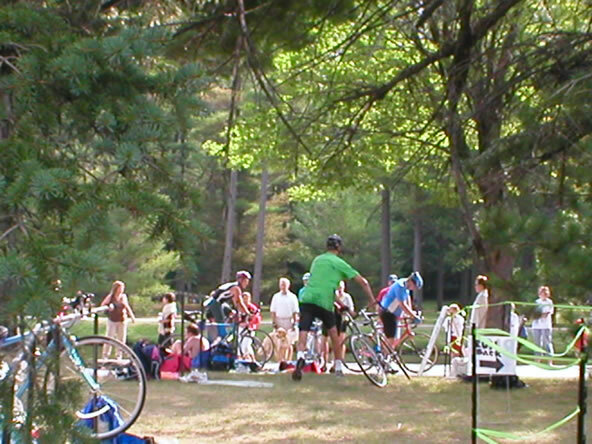 I ended up doing the loop myself – everybody else who showed up wanted to go on the 50 mile ride (the group had a 20, 35, 50 mile rides planned) – I’m not there yet, especially with those hills. So I went alone. I had checked gmap-pedometer.com on the route – http://www.gmap-pedometer.com/?r=1176534 – and for some reason thought that besides the scary looking hill around mile 13.5, it should be a pretty easy ride. And it was, for the first ~5 miles. Have I mentioned that it was hilly? Bigger hills than I have done yet, and one after another. The scary one at 13.5 was long, and not as steep as I thought it would be, but the road had recently had gravel put down on it. I had never ridden on gravel before (road bike + gravel = 1 scared Clyde), so I was taking it real slow. I made it up the scary hill, finally, and prepared for a nice ride back. That wasn’t to happen. It was just the beginning of the hills! The next one I went up beat me. I hadn’t had a hill beat me yet, but this one did. Still gravel, so I was trying to go slow still. I made it 75 to 80% of the way up, and gave up. I was doing all of the positive talking I could to get myself over the hump, but I just couldn’t do it. I’m pretty sure that my heart rate was at 110% of maximum. I was beat. I couldn’t even dismount. I unclipped and waddled, hunched over the handlebars, the rest of the way up. Then I got back on and made it back to the car – there were more hills, but on pavement, and none that were big enough to beat me anymore. So. I had a hill beat me. What do I do now? Way inside, in the deepest corner of my emotional fear closet, I apparently had begun to form a nice place for hills. I was afraid of them. I didn’t know it consciously, but it came out this morning on my ride. I was riding with Jason, and he was taking me on a pretty flat route. about 3/4 of the way through it, he said, “Do you want to do a medium hill, or a big hill?” I said it didn’t matter – I was up for either. At that point I was. So he decided on the big hill. Then he changed his mind and thought the medium hill would be better. Okay. “Let’s do Hillcrest.” Okay. I’ve done it before. And it was the one hill that came close to beating me before the one on Saturday. So here’s where this lengthy post redeems itself. As I approach the hill (a two parter, not that big really), I realize that I’ve made a cozy place in my fear closet for hills, and this one is sitting there staring at me. I also realize that until I saw it, I had been fearing it, and preparing for the worst. I was thinking, “Okay, gear down and spin early so you can make it up. You can make it, right?” Then I changed it. I had a “BING” / lightbulb-over-the-head moment, and decide that I’m going to beat this hill. I changed my attitude towards the hill. You know what? I beat it! I had a plan of attack (assisted by Jason), and I executed it. When I got out of the saddle to power up the last bit of the hill, I used my big ‘ol clyde thighs for what they’re made for – POWER! Once we got over the hill, Jason offered some congratulations to the effect of “you owned that hill!” It was great. I did own it. I’m not afraid of it. So, use this as some sort of encouragement – despite being a Clyde / Athena (as us overweighters are called in the biking / triathlon community), you CAN do the things you’re scared of. Whether it’s a hill that beat you, a longer route, a different group to ride with (or without), or even just the idea of getting on a bike at all – change your attitude about it, USE what you’ve got to your advantage, and reap your results! Whew! I’m pretty pumped up. Sorry, people! Thanks for putting up with me! 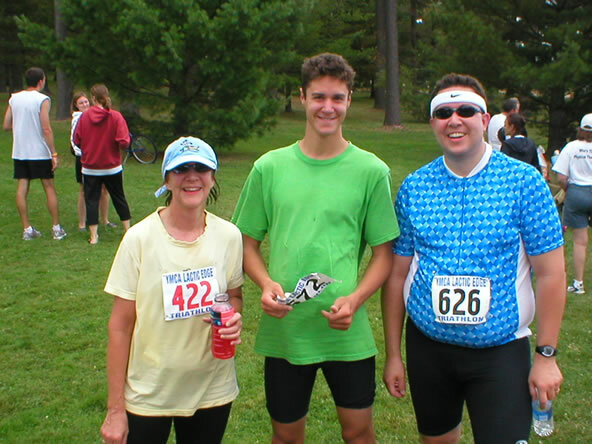 My Mother, Brother and I finished our first triathlon today. It was exciting, fun, hard, exhausting, and rewarding all rolled up into one. 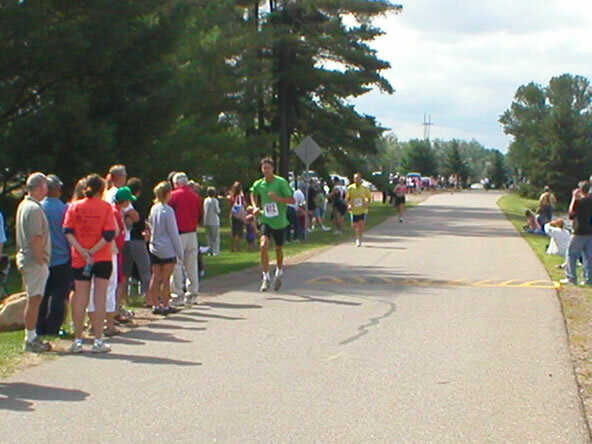 I finished in approximately 1 hour and 50 minutes, in 8th place among the Clydesdale category. There were 11 or 12 of us. 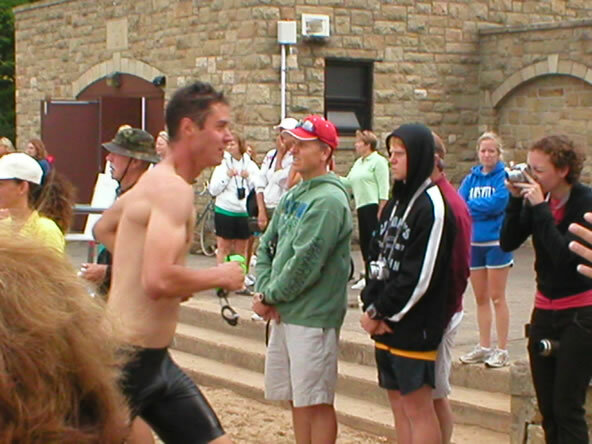 Following are my experiences leading up to and including the triathlon itself. I will post pictures as soon as I find the camera. Edit 7/16/07: Pictures are now in this post. 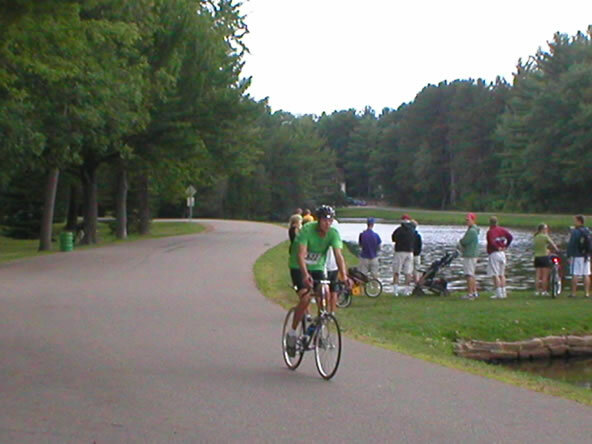 We arrived at Bukolt park in Stevens Point, Wisconsin at about 4:30 Friday afternoon. The park was nice, and Mom and my brother Marc hadn’t made it there yet. I decided to wait to register until they got there. They weren’t far behind. Jess, being 8 months pregnant, soon needed to find the restrooms. Ella (~17 months old now, wow! )and I walked over to the river(the Wisconsin, I believe), waved at some boats and quacked at a duck. Ella wanted to get closer to the river, but the shoreline was a bit rocky. I kept her away. There was also lots of dried poop by the shore. Weird. Jess took Ella to the playground while I hung back and waited for Mom and Marc. They soon arrived, and we headed towards the playground and the building where we were to register. We played with Ella on the playground for a few minutes, and then decided to go ahead and register. It took about 5 minutes, and there wasn’t much information given us. Mom got the most information because she asked someone who looked like they knew what they were doing. And that consisted of “There’s an informational meeting at 8:00.” Cool. I overheard that there was no chip timing. That was curious. I wondered how they did the timing. I still don’t know what their system was. Once done registering, we decided to stick around and watch the kids’ triathlon. It was adorable! They had Under-6, Under-9, and Under-12 age categories. The Under-6 and Under-9 “swim” was generally a “run through the water for 25 or 50 yards.” It was hilarious. Some of the kids tried to swim, but when they noticed all the others running by them, they quickly adopted the same strategy. For the prerace dinner, we hadn’t decided on anything. We started driving around, with Marc and Mom in the lead. Marc was using a directory of local restaurants that we had gotten in our swag bag. We eventually pulled up to a place called Bernard’s. It said the night’s special was quail. We decided to try it out, and Mom offered to buy. We thought her offer was a bit premature – what if this place was expensive? Oh well – when Mom offers, don’t turn it down, right? Turns out it was a very nice place, with Bernard the head chef who had studied in Europe and has had the restaurant here for 35 years. Dinners ranged from an $8.25 fish fry to a $24 New York Strip steak. The average price for a meal was probably $20. Whew. I ordered blackened salmon and a cup of New England Clam Chowder. It was excellent. I would recommend it if you’re going to be in the area. Dinner lasted much longer than we had anticipated. Our plans were to eat dinner, drive to the hotel, sit in the hot tub for a little while, and then go to bed. Well, by the time we got checked in to the hotel it was about 10:00. I was hoping to be asleep by then. Ella had a late bedtime. So, I got in bed at about 11:00 after a shower and a little freaking out about having everything ready for the morning. I slept well until about 4:30, when I awoke and thought that it must be close to my waking time – 6:15. I let myself wake up slowly, until I thought for sure that it was past the time that my alarm was supposed to ring. I checked the clock. 4:50. Ugh. So then I tried to go back to sleep. I succeeded, but it wasn’t very good sleep. I had some odd dreams. I dreamt that it was raining, and I had to check the weather channel. I dreamt that we left way too late, and we missed the triathlon. I dreamt (and this is the oddest one.) that we were packing up in the hotel and another group of guys had been given our room to check in to – including keys – before we were checked out. So they just walked in while we were packing. It (and this is the weird part) was Cris Carter (ex-wide receiver for the Minnesota Vikings, and a great one at that. No, I’m not a Viking fan. I’m a die-hard Packer fan. Why he was in the dream, I don’t know) and a couple of his buddies. They were real nice, and I talked to Cris about how much I thought he was a great wide receiver, despite playing for the wrong team. He really was a great receiver. Some of his catches were just spectacular. Anyway, I had to check the weather in that dream as well. So I had to look around his buddies to check it. Funny – I actually remember seeing some sort of radar showing rain in the area of Wisconsin that we were in. My alarm on my watch went off at 6:00. I woke, changed into my tri shorts and other clothes. I packed up the car and met Jess and Ella at the continental breakfast. They didn’t have any milk. I ate 1 packet of apples & cinnamon oatmeal and a banana. We got on the road at a few minutes after 7. The tri started at 8:30, and the drive was about half an hour. I was pretty nervous about having enough time to do everything before the start. If you ask Jess, she’d say I was grumpy. I was, but only because of my nervousness. I had her call Mom and Marc to see where they were. I wanted to make sure that we knew where to meet up and when. She and Mom weren’t worried about it at all. Nerves, I guess. It was a good thing that we had gone to the park the night before, because we didn’t find it right away then. In the morning I was able to drive right to it. The first thing I did was set up my transition area. Man did my nerves show then. I kept moving things around, checking my bag, moving things around again, and checking my bag again. In the end I think I did a pretty good job. I made sure to put my cycling shoes on top of my running shoes. With my socks, gloves, and sunglasses inside of them. Heartrate moniter strap went on top of those. I hung my jersey on the rack right next to my bike. I put my helmet on my handlebars. I filled up my bucket for washing my feet off. I flipped over my 5 gallon bucket to sit on (That was so helpful! I’m always bringing that from now on!). I arranged my water & clif bars where I could get it. After that was done, I decided to go get marked. I got about halfway to the marking station and realized that I didn’t have my bib. I started worrying that they wouldn’t let me get marked without something proving who I was. I kept going, though, and the marker didn’t ask any questions besides what number I was. “Six Twenty-six” I answered, and found that number written on my left arm & calf. Cool! On my way back I realized that I had to use the restroom. 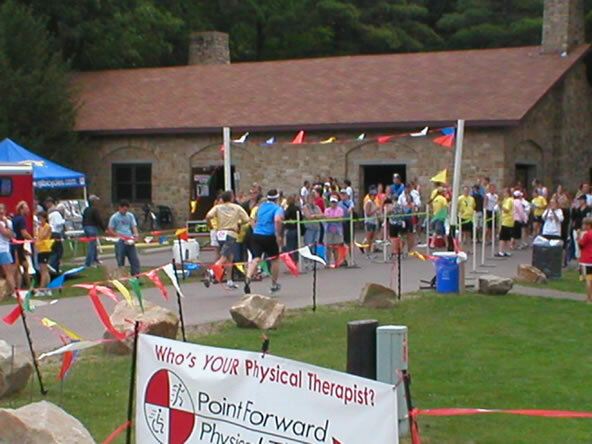 Looking around for port-o-potties, I saw one by the transition area, with many people standing around it. Great, I thought, there goes the rest of my time. Then I remembered that Jess had mentioned something about there being some by the registration / marking building. I looked back there and sure enough there sat two port-o-potties, alone and beckoning. I went to them, and just before I got there a man came out of one of them. “Seems we’ve found the secret toilets.” I said. Okay, so I’m not the funniest guy around, but I didn’t even get a chuckle. Oh well. On my way back to the transition area who do I see but my very good friend Jason Roberts! He’s been my riding pal since last year – letting me borrow his mountain bike, then riding indoors on trainers with him all winter, helping me pick out a bike, then riding outdoors with me this spring and summer. Awesome! He said he wanted to come watch, but I hadn’t heard from him and wasn’t sure if he was coming. It was excellent seeing him there. I was so happy, and we put him to work fast! Haha. He became our photographer (Jess taking pictures while trying to hang on to Ella was going to be quite a trick! ), helper, and cheerer! Man it was great that he was there. 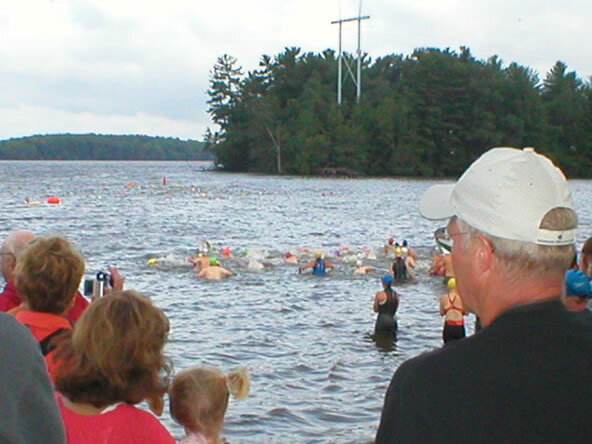 My next task was to get ready for the swim, and to listen to the pre-race announcements. I had heard that they were going to be made at 8:00, but around then they made an announcement stating that they would make announcements at 8:15. I applied my antifog spray and a few minutes later I went for a quick warm up swim. I’m glad I did, too. The water was pretty warm for how cool it was outside (65 - 70 degrees), really murky, and really choppy. I couldn’t see a thing and it was hard to breath. I only swam about 50 yards, but it was tough. All of the sudden I had a new appreciation for open water swimming. But I knew what to expect, and that in itself helped me. I tried to let Mom and Marc know what I had experienced, but I don’t know if they were able to hear me. They were pretty nervous as well. 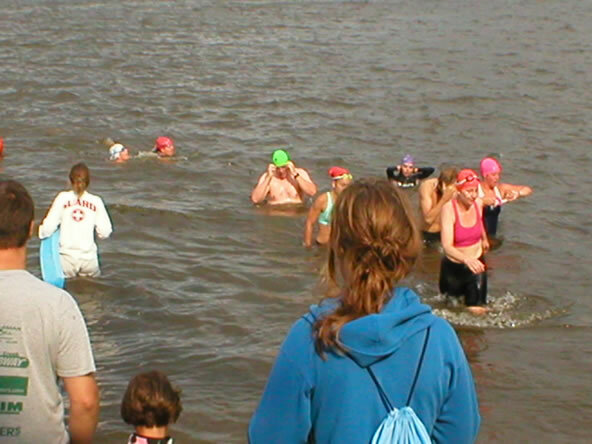 I would definitely recommend doing a warm-up swim for anybody who’s going to be doing their first triathlon. I also had not had any open-water swimming practice, so that was a little of a shock for me. Not being able to see past my forearm freaked me out a bit. And then it was time. They lined up the elite racers and the relay racers. The first wave. I was in wave 6. Mom was in wave 2, and Marc was in wave 7. The elite wave was sent off, and I thought, here we go! My nerves were pretty much settled down by then. The warmup swim helped that. Then Mom’s wave was off. She looked to be having quite a tough time. Maybe the swim was harder than I thought -even after my warmup! Before my wave went the first elite swimmers were coming in. I tried to point out to Marc how slow they were going – not frantic fast strokes, but measured, slower strokes. I tried to point it out to myself, too. Next thing I knew wave five was being summoned to the start. They all went up there, and I got in the water, well behind them. My wave was next. They left soon enough, and then it was my wave’s turn. It was finally here! I was about to start my first triathlon! Not much of this was going through my mind, though. i was pretty blank at that moment, just taking in the surroundings. I didn’t realize what I had gotten myself into yet. I was just ready to start swimming. “Get ready, Get set, GO!” The announcer sent our wave off. According to everything I read, I knew I needed to stay back or to the side in order to avoid the frenzy of the mass start. There weren’t that many people in our wave – twenty to thirty, but I still wanted to stay away from it. So I let everybody get in front of me, and then I started swimming. I kept it slow and easy, the pace that I knew I could do 500 yards. Then I started passing people left and right. I thought I need to slow down. I must be swimming too fast if I’m passing people. So I tried to slow down, but I kept passing people. Breathing was hard. It was windy and the waves made it difficult to keep a steady breathing rhythm. And I kept passing people. We were to turn at the first tall bouy, head to the second one, and turn there to go back to the start. I got almost to the first bouy and was stuck behind somebody doing the breaststroke. So I decided to take a breather and do the breaststroke around the bouy. It was a nice rest. Then we were around it, and I resumed my freestyle. I kept looking for the next bouy so I could keep on track. It didn’t take long to get there, but I was pretty tired by then. I knew that I could make it, though. 500 yards was easy in the pool! The last leg of the swim was killer. I wanted to do the whole thing freestyle, but the difficulty with the breathing rhythm made that near impossible. I flipped over once and swam on my back for a few seconds. Then I went back. Then I moved to the breaststroke for a few seconds. Then back to freestyle. I ended up doing most of it freestyle, but I really had wanted to do the whole thing freestyle. It was really hard. I was really wiped out by the time I had about 25 yards left. Those last few yards were rough. But I made it out, and headed for the transition area. I checked my watch when I got out of the swim, and it said 9:26! That’s the fastest I’ve swam 500 yards! Crazy. 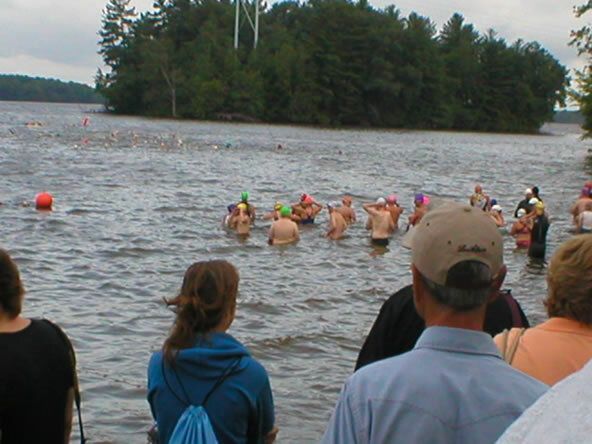 Waiting for the start – I’m the big guy in the back with the green swim cap on. Mom leaving the water after her swim. End of the swim. That’s me with the green cap. Heading into transition, Jason talked to me – “Man, you looked great out there! You passed your whole wave and caught up to the next one!” As exhausted as I was, that was some great praise to hear. I felt pretty good about it. I met Mom at the transition spot. We both agreed that the swim was ridiculously hard. Transitioning was hard. My feet were sandy, and I was wet. Marc showed up a couple minutes later. I used my towel to dry off a bit, my bucket of water to wash my feet off in, and my towel to dry my feet off with. Then I put on my socks – it’s hard with wettish feet! Shoes were next. Then I put on my heart rate monitor strap. Then my jersey. That was tough. I was still wet, and it didn’t want to go down past the heart rate monitor strap. I started to panic, but then I got it down. I loaded it up with a clif bar and my spare tire, put on my sunglasses and bike gloves, and headed around the rack to put on my helmet and get my bike. One of the helmet straps had slipped to the outside of the plastic bit that sits around your head. I couldn’t figure out why I couldn’t get it on for a few seconds, and then how the strap had gotten the way it had. I figured it out, put it on, grabbed my bike, and headed out to mount up. Clipping in, ready to go! I hopped on my bike a minute or so after Mom left, and took off without any problems. It felt good to be on the bike. Familiar territory! I started out pretty good – 18 to 19 miles per hour. I was just thinking that I wouldn’t be able to keep that pace up the whole way when Marc flew by me! Haha. I had thought I might give him a run for his money on the bike, but he just flew. Silly thing for me to think! Oh well. The bike was pretty uneventful. It was a nice ride though. I passed a few people, and tried to offer words of encouragement to them. Most were friendly and said something back; a few seemed perterbed that someone like me was passing them. I passed another larger gentlemen and said something like, “Keep it up!” He took a look at me and said what I think was “Trucks and Buses.” I believe he was referring to our sizes. I gave him the thumbs up. I don’t think he was on a road bike. Later on in the ride I passed an unfortunate woman who was on a mountain bike. She looked horribly exhausted. I said something like “Great job!” And she looked at me pitifully and said “Thanks.” I could tell the mountain bike was just horrible. There’s no way I would have been able to do the tri on a mountain bike. Man. I give her all the credit in the world for doing it. I saw her finish, too. So she did it. There were a few small (very small) hills on the ride. Nothing much, but there was a pretty strong head wind on some of the roads. Strong enough to slow me down by 5 miles per hour! There was a girl that would pass me, and then I would pass her, and then she would pass me again. Over and over throughout the ride. I don’t know who finished the bike first. I think she passed me on a road where the head wind was strong, and I don’t remember passing her again. I may have, though. I remember wanting to say something to her about the head wind, but I don’t know if I got the chance. I also saw a guy whose legs were so small I thought something may be wrong with him. I don’t know if there was, but I blew by him in the first half of the bike. Later, he blew by me on the run. Haha. One thing Mom and I were nervous about was knowing the course. 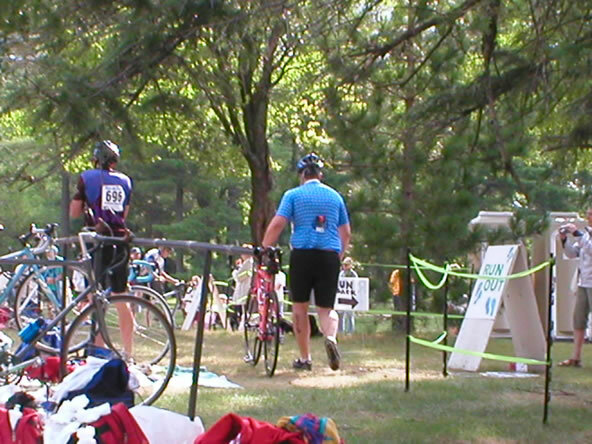 We hadn’t ridden it yet – we had planned on doing the tri in Pewaukee, so that’s the one we rode. We were wondering how it would be marked. That turned out to not be a problem. There were arrows painted on the street, signs with arrows, and volunteers standing at each corner that we were supposed to turn at. It was cool. At about 16 miles into the ride I pulled out my clif bar. It was time to refuel for the run. I knew I would need it. So as I’m eating it, I realize that I’m much closer to the end than I thought. So I start eating it faster, and then notice the professional photographer taking multiple pictures of me. Eating. I tried to pose for him without having my mouth open. Jason, however, got a wonderful picture of me chewing and riding. Just before pulling into the transition area, some woman with a bullhorn yelled something at me. I didn’t hear what she said, but she was pointing at a line. I acknowledged the line and yelled “What?” to her. She didn’t respond, so I went on. Jess later told me that she was yelling at each rider to dismount at the white line. Well, I unclipped, but I didn’t dismount. That’s okay. Nobody got mad at me. I just let the bike coast until I got to the line where my transition area was. Marc at the end of his ride. End of the ride, entering T2, munching on a clif bar. Mom at the end of her ride. The second transition was pretty easy. I put my bike up, took off my helmet and gloves and shoes, put on my running shoes and headband, grabbed a water, and headed out. Nothing special there except that I thought I had my helmet on still, but it was only my headband. I did forget to put on my knee brace though. Jess had bought me an adjustable knee brace to use on the run – my knee has been giving me problems running for the past month. It’s been really annoying. It hurt enough to stop me from running much at all for the last month. So I forgot it. As I was walking out of transition, both calves started to tighten up, almost to a cramp. I stopped, said “Okay,” and stretched each of them for a few seconds, then went on. Time for the run – one more leg and then I was done! My official time for the bike, which included both transitions, was 1:06. Not bad, I think! Oh boy. The run. It was the hardest part of the tri. I didn’t think anything could be harder than the swim, but I hadn’t ever tried to swim, bike, and run all in a row. Well, I had tried, but I hadn’t been able to due to my knee. I was entering the hardest thing I’d ever done. I started running (well, I think Michael Pate’s term slogging really applies to me more) and everything seemed fine. For a few minutes. Then my knee started to hurt. Not bad, not like it had hurt before, but it was hurting with every step. I thought that I would run through it – I was finally there, and I wasn’t going to stop. I didn’t get a chance to. I prayed. I’m a Christian, so praying for things that I think I need or want isn’t foreign to me. I don’t always get what I want, obviously. What I get is what His will for me allows. I’m not a big prayer, unfortunately, (Here’s the point where I can go off into how much I fail as a Christian, but that’s not what this blog is about.) so I felt pretty hypocritical when I started to pray for God to heal my knee, or to make the pain go away. But, any prayer is better than no prayer, right? Well, when I was done praying, my knee pain went away. Completely. It didn’t hurt at all for the rest of the run. Awesome! By that time I had run about half a mile, although I didn’t know it then. My sense of distance was seriously messed up. I thought the total run was closer to 5 miles than 5k. I passed the girl that I had traded passing on the bike, and as I passed her I noticed a flock of geese wandering across the path. I wondered aloud to the girl if the geese would move. When I started getting close, I started flapping my arms and saying something like “Move!” I think one or two made some sort of hissing noise, but they moved out of the way. I was passed by lots of people. I think that girl was the only person I passed. I can’t remember for sure, but I think that’s the way it went. I was a pretty slow runner. I kept thinking that I was at the halfway spot, and I wasn’t. Ugh. Turn, turn, turn. It kept going! Close to the halfway spot there were a couple volunteers at that were handing out water. I didn’t take any, though. I had my own bottle of Aquafina. Mine probably tasted better, anyway. I’m a snob about water taste now, unfortunately. I’ll drink just about any water, but I certainly have my favorite. Well, I finally made it to the halfway point, and I turned around. I had noticed a man ahead who was walking and running intermittently. When I started to pass him, I said something nice and he said something like, “Well, I think I’ll try to keep up with you.” I said “Yeah, I’m slow, come on!” So we ran together the rest of the way. His name was Bob (I forgot his last name – sorry Bob!). 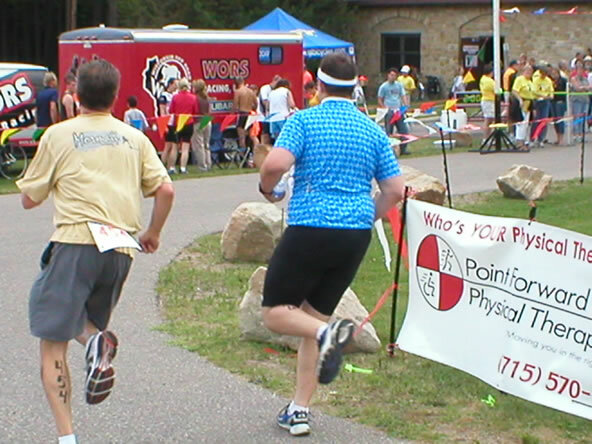 He was running in his first triathlon as well. He had wanted to do one before he turned 50, and was a month away from it. That’s cool. He was walking because he had pulled a muscle in his left thigh, and it hurt. Apparently running with me and talking helped keep his mind off of the pain, though. We met up one of his family members at one point, and he said to them, “I found a coach!” and pointed at me. I laughed. Me, a coach. On the run, nonetheless! Well, later on he became my coach! He noticed towards the end that I was running out of steam. He asked if I was going to make it. I said “If there’s anything I know how to do, it’s how to overexert myself.” Then later on I was really starting to lag and he encouraged me to keep it up. He really helped me. I don’t know if I would have been able to continue to run if he hadn’t have been there. Marc in the last leg of his run. The last part of the run, with Bob. We ran around the final corner, and could see the finish line. When we got close, he said something like “let’s go!” or “Wanna sprint to the end?” and I said “okay!” and we did. Everybody was cheering us on, and I heard Marc yell “You can take him, Jeff!” I laughed. He thought we were racing! Bob said “Take it” to me, and I said “I can’t!” I don’t remember who finished first, but more importantly, we finished! It was the best feeling! I had actually finished a triathlon. I was beat, but I did it! Now I’m a triathlete! I set my eyes on doing it last year, and I did it! I still can’t believe it. My legs hurt like crazy a few hours afterwards, though. When I got home I crashed hard on the couch. What’s next? 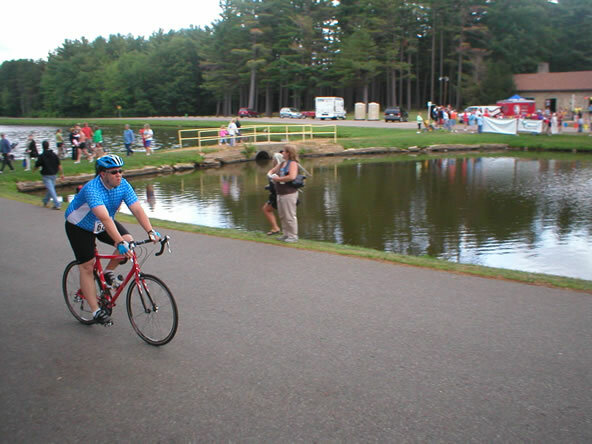 I’m hoping another triathlon near the end of August … we’ll see how it goes! 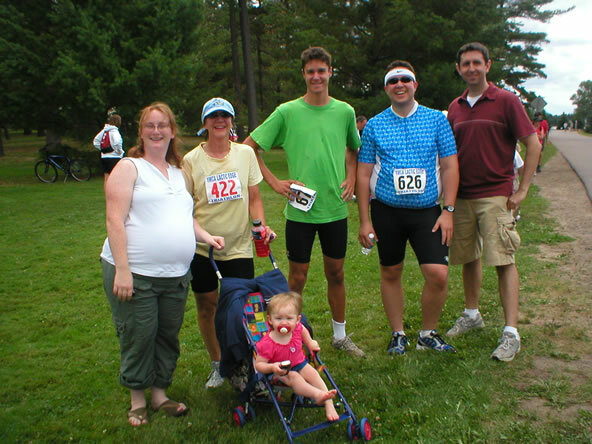 Jess, Mom, Ella, Marc, Me, and Jason after the tri. I’d like to thank a few people for their support. Ella, for being my beautiful daughter and making me smile and laugh every day. Jess, my wife, for putting up with my craziness and for encouraging me and making this whole thing possible. Mom and Marc, for saying you’d do it with me, and for really going through with it. Having you guys there was great. Jason, for riding with me all year, teaching me how to ride, helping me pick a bike, and for coming to watch and help out. Janet and Gary, for putting up with me altogether. Matt, for offering personal trainer advice. Adam, for constantly hounding me about losing weight and working out. Eric Harr, for writing “Triathlon Training in 4 Hours a Week.” It helped more than any other single resource. 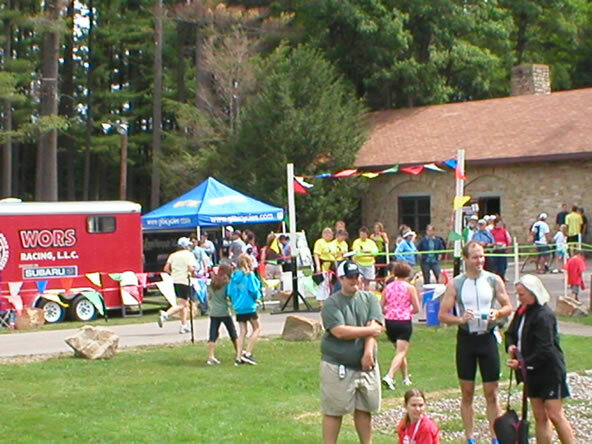 The Clydesdale and Triathlon section of bikeforums.net. You guys are all great. Thank you all. I’ve been helped tremendously by you all. Well, I guess that’s it. I’ll keep going on this blog for my next triathlons, though. I’ve got a few ideas on how to use this website for greater good. We’ll see, though. Really, THE END! I finished! I swam, biked, and ran the whole way! And … I’m exhausted! My legs are revolting. More (including pictures) later … I’ve got to go get cleaned up. Well, the triathlon is 2 days away. We had to change triathlons. 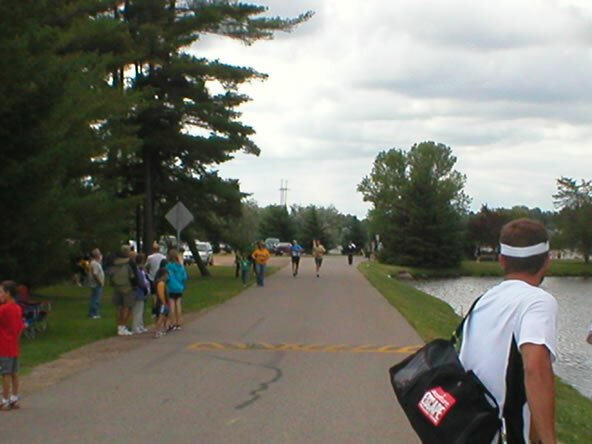 When we went to register for the Pewaukee tri, registration was closed. Apparently they had filled up. I wasn’t aware that they had a limited number of registrations. I guess it makes sense. 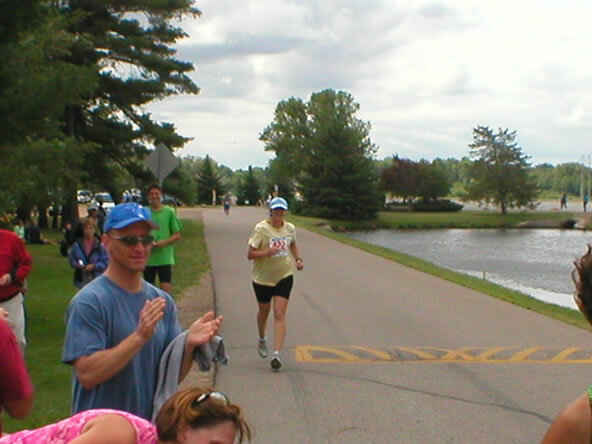 So Mom and I scrambled and found another one – the Stevens Point YMCA Lactic Edge Triathlon. It’s on Saturday morning at 8:30. Nice that it’s a little later. I hope I can get enough sleep :). 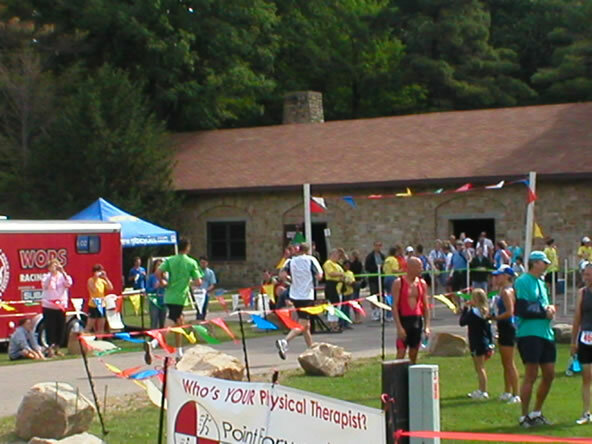 I tried a “test” triathlon last week. 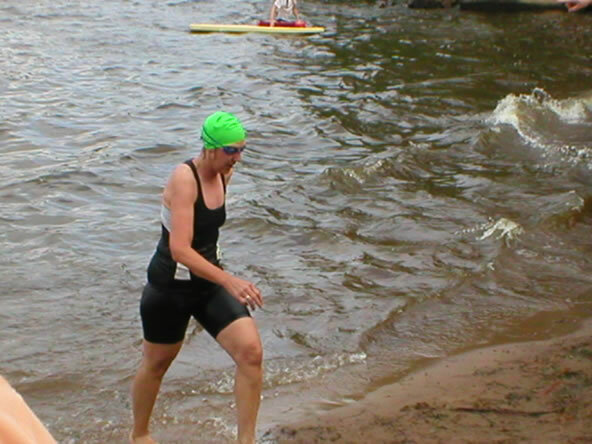 The swim and bike were fine, but my knee didn’t allow me to run. I was able to run about a mile the night before. I haven’t run since. It’s been about a week. Hopefully I’ll be able to run on Saturday! If not, oh well. I’ll do my best! I can’t wait. I rode my bike again this morning. Oh man how much better it is than stationary bikes! Next update, I imagine, will be after the tri. Pictures too! Hello there. I just did a quick scan of this blog, and realize that most of the posts are much the same – Haven’t been exercising, need to get back to it, sorry I haven’t been updating the blog, etc, etc. I apologize. It’s all boring, and all … a little disheartening, isn’t it? Well, hearten. I haven’t posted in a while, but I HAVE been exercising. Quite a bit, actually. Swimming, biking, running, repeat. 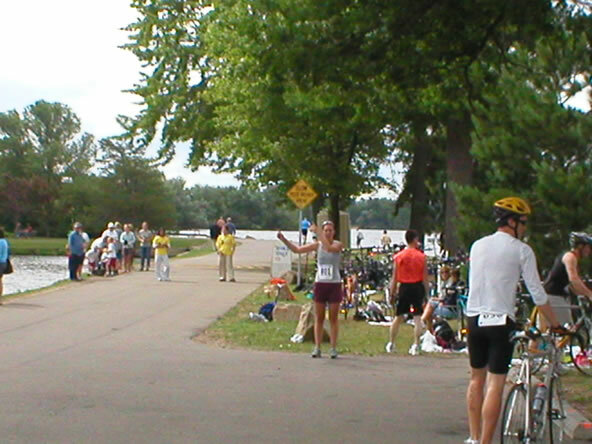 I can officially do all of the distances that I’m supposed to be able to do – 1/4 mile swim, 16 mile bike, 3.1 mile run. Bad news – my knee seems to be injured. It hurts when I run. Riding seems fine, but running really hurts it. I can walk fine, though, so I’ve got it wrapped and am taking ibuprofen to hopefully help it from swelling. I’m not sure what hurt it. Perhaps overuse. So I’m not running until that’s better. Swimming & biking, though, are fine. So I’m doing that. 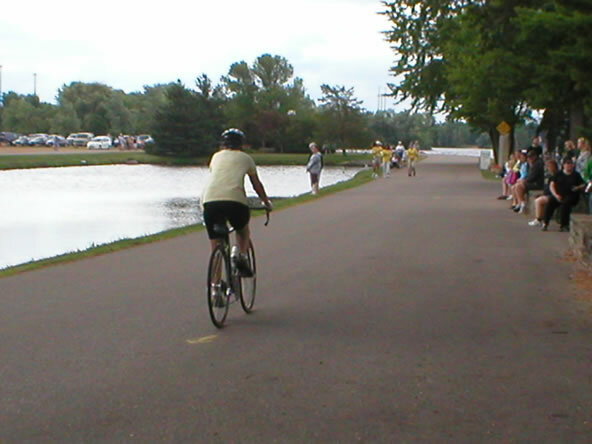 Last Saturday Mom and I went to Pewaukee to ride the route. It’s a nice ride – not too hard. Rolling hills and good views. Signing off for now. I promise I’ll be back! It has again been too long since I’ve updated this blog. I have been dutifully riding my bike and running, and it’s been great! 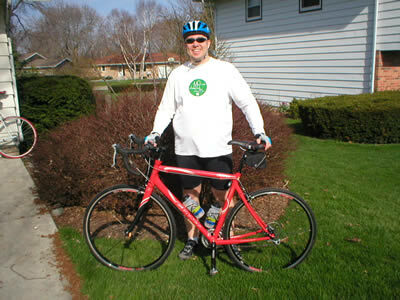 I just rode my longest and fastest ride this morning – about 20 miles, at about 16 miles per hour. Pretty cool. My legs are letting me know about it, too. Last week I rode home from work. 16 miles, at 15.5 mph. That was nice. It was scary riding in traffic, but most of my route had bike lanes. I almost fell for the first time, at an intersection. I was slowing to a stop, unclipped my left foot, and decided to let my momentum take me a bit further. Well, I went a bit further, but then started leaning to the right. It was too far to the right, and I knew I couldn’t get going back the other way, so I frantically clipped my right foot out. It didn’t want to at first, but I got it out, and saved myself from a fall. Whew! I’ve been thinking, and I realized that I haven’t posted a picture on here yet. So I’ll give you a picture. One of me and my bike, on the first day I took it outside. So there I am, in my Shamrock Shuffle shirt, ready to ride. It was a beautiful day, and a beautiful ride. Okay. About the triathlon. It’s getting closer. July 15th. I haven’t registered yet – that will be in a couple weeks. But next week I’m going to start following a six week training schedule that is in Eric Harr’s book Triathlon Training in Four Hours a Week. I can’t wait. It’s almost here. Well, it’s been over two months since I’ve updated this site. I haven’t heard any complaints, so I guess nobody’s reading it. That’s okay. This is more for me anyway. So, what’s happened since 1/23? A lot. I trained and ran in a 5k run on St. Patrick’s day. I finished in about 34 minutes, with a pace of 11:01 per mile. It was awesome. I didn’t think I’d ever got to the point of being able to do that. But I am at that point, and it’s great. If you REALLY want to see a bad picture of me at the run, head on over to www.fotojack.com and click on the 2007 Shamrock Shuffle event, and search for bib 659. That’s me, in all of my frowning glory. I’m jogging, I promise. I never stopped jogging. In fact, I sprinted at the end. That must have been a sight! I also bought a bike – an ’06 Giant OCR 2. It’s red. Oooooh. I just rode it for the first time this morning. It was great! Being clipped in made a huge difference as well. I can’t believe how much easier it is to pull the pedals now. I haven’t been swimming, though. Mostly running and biking. I’m planning on putting it all together this week. Friday I should swim, which would mean that I ran, biked, and swam all in one week. 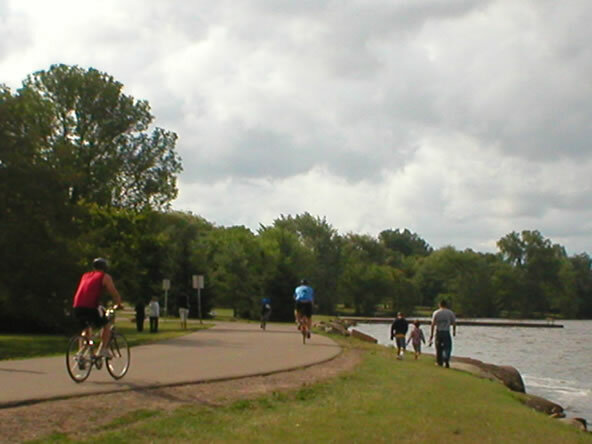 If the weather allows, I may bike Saturday morning – outside! I’m a little afraid of that – I’m not good at clipping in yet. I’m fine at getting out. Blah. We’ll see how it goes. I updated my skinnyr graph today. As of yesterday I am officially 264.6 pounds. That’s a total weight loss (from my heaviest weight) of 62.4 pounds. The point of this is … well … the graph has a BMI indicator on it. And that BMI indicator has always had a little explanation next to it. When I started, that explanation said “Morbidly Obese.” Then it went to “Very Obese” and “Obese” … and now … for the first time … I am only “Very Overweight!” That’s awesome. Now … not to rain on my parade, but OTHER BMI charts state … that I’ll be “obese” until I get under 220. I like my skinnyr chart better than those charts. Well, that’s all for now. I apologize to all of the imaginary readers I have out there for being such a pokey updater. So, I have not yet registered for the Shamrock Shuffle. SBC Coaching is having an informational meeting about their training program tonight. I’m planning on going to that, and seeing if it’s something I want to take advantage of. I’m also going to call a local gym and inquire about a short month-to-month membership. More information to come! Rode for another hour today. It was hard. The first half hour was okay, but not the greatest. The last half hour was hard. The last 15 minutes was real hard. Overall, though, the workout wasn’t tougher than normal. It must just be a bad day. Average heart rate 150, max 186. Going to start running soon. Ooh boy.